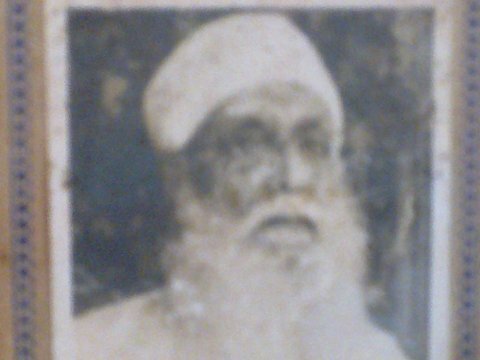 Ervad Behramji was born in Udvada on 18th March, 1885 to one of the nine families who are the Spiritual Guardians of Iranshah. Even as a child, he was noteworthy. Very early in his childhood, it was noticed that there were times when he would refuse to suckle his mother. No particular reason was apparent, but after some time of careful observation, his mother realized that he would not suckle whenever she had had any meat or fish! As a result of this behaviour, his mother had to become vegetarian. Soon the child was happily sucking away and quickly grew up with a very strong body. Behramji lost his father when he was only ten years old, leaving behind many siblings. The priesthood in Udvada in those days was mired in abject poverty. The excess number of priests meant that each would undercut the other to get more clients. As a result, priests were paid a pittance in wages – Rs. 2 was the fee for a whole Vandidad ceremony, starting from sunrise in the morning as the priests would perform the Khub and then through the night as the main ceremony was conducted, getting over only after sunrise the next day! Today, it is difficult to find priests to perform this essential ceremony even after paying nearly Rs.10,000! In these circumstances, various malpractices had entered the profession as priests struggled to make ends meet and feed their large families, while Behdins would play one priest against the other in order to get ceremonies done cheaply. Behramji and his younger brother Pestonji were taken care of by their Kaka, Ervad Faramji, who was a very pious Mobed. Their childhood was also spent in the company of their senior family member Ervad Bhikhaji Dinyarji Unwalla who was also renowned for his piety and simple way of life. Growing up amongst these titans, it was but natural that Behramji would gravitate towards the priesthood. After a very basic education, and the tough mental training of learning the Avesta by heart, Ervad Behramji successfully cleared his Navar, Maratab and Shamel qualifications and plunged into the priestly world of those days. Influenced by the pious nature of his senior family members, Ervad Behramji was very troubled by the rampant malpractices going on at that time. Despite being a fully qualified priest, Ervad Behramji had, however, no idea of the rationale or any understanding of why our prayers and ceremonies were devised. He knew them by heart, and he could pray in a loud, sonorous voice, but that was about it. In his mind, Ervad Behramji had several questions as to the why’s and wherefores’ of the profession’s many intricate rules and practices. But there was no one to answer his questions. How could they, when each priest was more worried about where his next meal would come from? He was afraid he would be ridiculed or ostracized for asking too many questions. All this changed in 1908. In that year, a strange group of people visited Udvada, led by an extremely rich but religious Sethia of Mumbai – Seth Kaikhushroo Burjorji Chokshi. The star attraction of that group was a middle aged man, with a flowing white beard and dark piercing eyes. Standing in the central hall of the Iranshah Atash Behram, this man began speaking on the intricate nature of ceremonies, the role of an Athravan, what happens when a particular ritual is performed, explaining many of the inner workings of rituals which only priests could fathom and know about. The assembled priests listened in wonder, as a non-priest explained to them the meaning of what they had been doing for their entire lives. Many minds started working, many realized the error of their ways, silently nodding their heads at what the strange man in the white Dagla and high Pheta was saying. That man talking to them was Ustad Saheb Behramshah Nowroji Shroff. Unfortunately, Ervad Behramji was not in Udvada on the day that Ustad Saheb spoke there. But the speech had left a lasting impact. In the corridors of the Atash Behram and around the many hindolas where the priests gathered to perform the Pav Mahel ceremonies, and in the houses of the Mobed Sahebs where they met every evening, there was a palpable buzz that a man had arrived, bearing a strange message from a secluded group of sages in Iran, who could answer many of their queries. As Ervad Behramji listened to these discussions, a great desire arose in him to meet this strange man, in the hope that the many questions tormenting his mind would be answered. The opportunity arose three years later, when Ervad Behramji came to Mumbai. There, in the hall of the Anjuman Atash Behram, he came face to face, for the first time, with Ustad Saheb. As he poured his heart out in front of the Master and Ustad Saheb answered his queries in his gentle, pleasing manner, a strong tremor passed through every atom of Ervad Behramji’s body. Like a lion tormented by the thorns stuck in his paw, Ervad Behramji’s every query was slowly picked out, one by one and replaced with the soothing balm of Ilm-e-Khshnoom. Readers of Frashogard, there are many times when I wish I could be transported back in time and space to a particular moment of the past, where maybe I could be a simple fly on the wall, watching and listening to the events taking place down below. That first meeting between Ustad Saheb and Ervad Behramji would be one such moment! To be able to hear the Master’s voice, to see the look of wonder in Ervad Behramji’s eyes…what more could one ask for? The more he asked, the more Ustad Saheb replied, and the foundations of a 15 year long friendship and master-disciple relationship were set in the hall of the Atash Behram that day. They met regularly after that, at least three to four times a year, and their relationship grew stronger. Listening to the teachings of the Master, Ervad Behramji realized the truth that Mobedi is not a job, it is not a business – it is a way of life. Whatever liberties one may take in his job or business – one could not take in Mobedi. As Ustad Saheb explained the role of an Athravan, the importance of our Pav Mahel and Hushmordi ceremonies in ensuring the safe passage and onward progress of the soul, the great disorder created in nature by the antics of certain priests, and the utterly terrible and dreadful retribution which awaited those who played around with their grave spiritual responsibilities, a strong chill took hold of Ervad Behramji’s heart. In those moments of absolute terror which come from true realization, Ervad Behramji swore never to indulge in any malpractice, not only himself, but to try to make even others of his clan understand the importance of what they were doing. As he returned to Udvada and plunged into priestly life with the new found gusto and conviction, Ervad Behramji soon became the object of ridicule and displeasure amongst the other Mobeds, who looked at him as though he had gone mad, when Ervad Behramji insisted that he would do all the ceremonies completely and perfectly. Soon many unpleasant incidents took place, many threats were made and many obstacles put in Ervad Behramji’s way. But the other Mobeds perhaps did not realize who Ustad Saheb was! At every moment of trouble, Ervad Behramji was comforted by the silent visage of Ustad Saheb who gave him hope and patience to deal with these adversities. 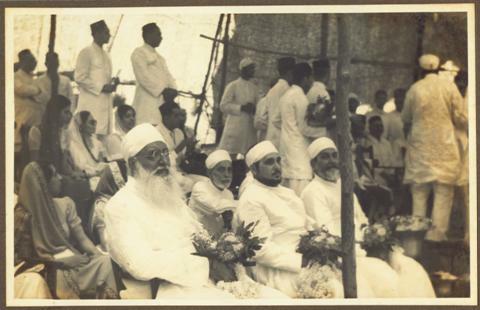 By 1914, Ervad Behramji had started performing the Nirangdin ceremony – the ultimate test of a true and complete Mobed. Through his sincerity, strong voice, saintly looks and the backing of his Master, slowly but steadily, Ervad Behramji started rising up in life. By the time he retired from active Mobedi, Ervad Behramji would have performed a staggering 102 Nirangdins! As his star started rising, Ervad Behramji’s services were increasingly in demand outside Udvada. In 1916, he was invited to consecrate the Atash Adaran at Zai Bordi. Between these major ceremonies, Ervad Behramji of course gave Boi at the Iranshah whenever his family’s turn arrived. In between he must have performed thousands of Yazashne and Vandidad ceremonies. 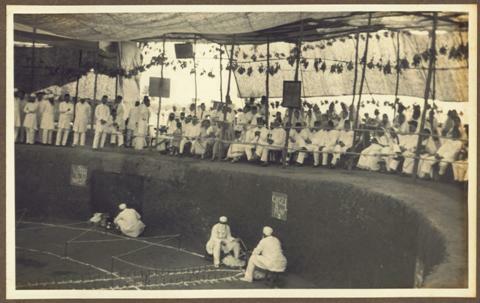 In 1924, the Boyce Brothers, ardent disciples of Ustad Saheb, started a special scheme in Mumbai, where the first four days ceremonies for every death in the community could be performed. This scheme was specially devised by Ustad Saheb so that every deceased Parsi soul had the opportunity to have the first four days ceremonies in honour of Sarosh Yazad said properly and completely. The Boyce Brothers poured in lakhs of rupees at that time to setup this scheme. Since they did not have any Agiary of their own, the Boyce Brothers requested and got permission from the Trustees of the Dadyseth Atash Behram to use their premises for this scheme. Ervad Behramji was invited by the Boyce Brothers to be the lead Mobed in this scheme. He agreed, and came to Mumbai from Udvada with the precious Alat with him – walking, maintaining his Bareshnum over the many days it took, stopping at various Agiaries and houses of pious Parsis on the way where he would rest, pray and eat after performing the Baj ceremony. Soon this scheme of the Boyce Brothers was a great success and Ervad Behramji along with three other Udvada Mobeds took six monthly turns to be part of the scheme. For six months, one pair would not step out of the precincts of the Dadyseth Atash Behram – at all. All their working hours were spent in prayer and ceremonies. The other six months would be spent in Udvada, tending the Iranshah and performing more ceremonies there. In January 1926, Ervad Behramji was invited to Bangalore by Dinshawji Cawasji, to consecrate the first Fire Temple there. Taking special permission from the Boyce Brothers, Ervad Behramji sat in D. Cawasji’s car, maintaining a Paivand, or connection with the ground via a special chain, and travelled all the way to Bangalore – a journey of four days, carefully planned so that they would stop only at Parsi houses where they could pray and then perform the Baj and eat. Arriving in Bangalore, Ervad Behramji and his team successfully consecrated the Atash Dadgah there and impressed everyone with their piety and devotion. In November 1926, Ervad Behramji was invited to Quetta to consecrate a Fire Temple there. He travelled to Karachi first, took a Nahn at the Agiary, and from there a specially reserved Railway Inspection trolley was procured, with a Parsi driver, Parsi guard and other helpers. This quaint trolley travelled from Karachi to Hyderabad (Sind) reaching the next day to a military band welcome at the station. From there the entire contingent marched to the newly constructed building and over the next four days, Ervad Behramji consecrated the new Atash Dadgah there. But in the midst of festivities, tragedy struck. At 9 pm, Ervad Behramji’s three year old son, who was accompanying the family, suddenly passed away. Amidst the gloom, Ervad Behramji had no choice but to bury the body at Quetta since there was no Dakhma close by. In March 1940, the construction of the Dakhma was complete and the consecration ceremonies had to be performed. Once again, Ervad Behramji was invited to Bangalore to do the needful. Also in 1940, the Boyce Brothers finally bought a plot of land in Tardeo and the Dhana Patel Daremeher was shifted from Duncan Road to the new premises at Tardeo, thereby becoming the Boyce Dhanapatel Daremeher. Ervad Behramji was invited to perform the consecration ceremonies for the new building and then assume charge as the lead priest in the new institution. In the same year, Seth Nusserwanji Boyce passed away, and in 1943, Ervad Phiroze Masani, who had handled the Boyce Trust after Seth Boyce also passed away. A new set of Trustees took over and soon trouble started. Pretty soon, Ervad Behramji had disagreements not only with the Trustees but also with certain priests who were working with him. With a heavy heart, Ervad Behramji resigned from the Boyce Trust. By a stroke of luck, a Trustee of the Dadyseth Atash Behram invited Ervad Behramji to restart the ceremonies at the Atash Behram itself. With the encouragement of a few Behdins, specially Ms. Sheramai Lalkaka, mother of our Zoroastrian Radih Society’s Trustee Ms. Piloo Lalkaka, who sponsored the entire trip to get the fresh Alat from Udvada (this time on horseback), Ervad Behramji soon started operations at Dadyseth Atash Behram. 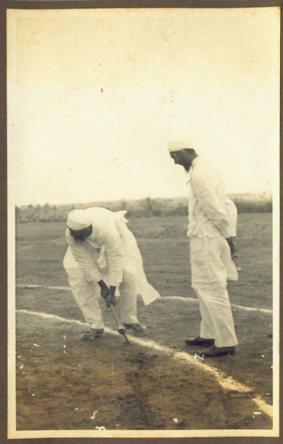 In this manner, Ervad Behramji worked incessantly, shuttling between Mumbai and Udvada, six months at a time, from 1943 to 1952 when he had to retire due to ill health. In 1953, Ervad Behramji suffered a paralytic stroke which not only left one side of his body useless, it also affected his mouth, making it impossible for him to pray even a little. This cruel stroke affected him badly, but he bore the pain and frustration with patience, remembering the words of advice that his Master had taught him many years ago. In around July 1955, he miraculously recovered and could start praying again! On 25th September 1955, Ervad Behramji performed the wedding ceremony of his brother Pestonji’s daughter, surprising all with his strength and recovery. On the morning of the 27th, as he sat drinking a cup of tea given to him by his dear brother, he slowly put the cup down and closed his eyes forever. In this manner ended the life of one of the most illustrious Mobed Sahebs of recent times. Readers of Frashogard, Ervad Behramji’s life was one which most serious priests would die for. To have performed every major ceremony – Yazashne, Vandidad, Geti Kharid, Hamayasht, Nirangdin, Varasya consecration, Atash Dadgah and Adaran consecrations, Tana and consecration of Dakhma – with the full dedication and devotion towards his faith makes Ervad Behramji perhaps unique in the annals of Mobedi history. The unique bond between Ervad Behramji and Ustad Saheb Behramshah Nowroji Shroff ensured that till the moment he died, Ervad Behramji never compromised on the tough rules of life, work and prayer which a Mobed should follow. I bow down my head in his memory and pray one Ashem with the thought that today, 57 years have passed since Ervad Behramji passed way. The number 57 is very significant, since it marks the end of the period where the soul works to undo the damage caused by its living form on the earth. From thereon, the period of Seshab ends and the period of enlightenment and progress begins. May the Ruvan of Ervad Behram Ervad Jamshed progress from its Seshab after the Panja Hafta Sal period and quickly attain Anushehi and find its rightful place in Nature. And may his Fravashi guide, help and inspire poor priests like me who dream (and can only dream) of following in his illustrious footsteps. Excellent article and a very informative information to all Zoroastrians. Even I wish we were born in those days, to get the benefit of the in-depth knowledge of our wonderful religion. You are doing a wonderful job. Please accept my sincere thanks for all your postings. Thank you for this amazing account! I was brought up in Udvada and had a great fortune to learn my initial prayers (complete Khorde Avesta) in Udvada under the savant Kekhusru Bhada at the Udvada Madressa. I had witnessed the mobeds like Behramsha Bharda, Behramsha Unvalla, Bamansha Chinoy, Katila etc. performing rituals, and their sonorous voice, prononciation and feeling had lasting effect on my mind. Till today when I pray, I thank those savants to train me in clear Avesta. No Avesta scholar could replace their sincerity and Avesta. I am at loss of words after reading this,, such great dedication n sincerity by late Ervad Behramji Unwalla towards his Mobedi n here am I whose not known words Tana and Hamayasht until now. But I feel sad for non functioning agiary n dokhma where such hard work and dedication was put in for its set up and not kept alive and running now. May Ruvan of Ervad Behramji attain Anushehi at it’s earliest!!! It is indeed a great posting put up. In todays times it not only very hard but impossible to find a mobed like Ervad Behramji. His dedication towards his work is an example and a role model for mobeds of today. My ruvan of Ervadsahebji attain Anushehi at the earliest. Running short of words for praise. Asho Faroher NI Panah HOJO. God bless Ervad Behramji. Eagerly waiting for the Parsi community to return to its glorious days. hope this happens in my life time. truly touching and heart rendering…… was totally shaken up after reading the whole mail…. thank you marazban saheb for once again enlightening us with such mails… atleast for those who read them it further kindles a spark of dedication and total submission towards our religion… Er.Behramji must have surely reached garothman behest and all that we today can do is to lead our life with as much dedication and devotion and await the advent of our Rainidar. The entire Avesta is online at http://www.avesta.org. alongwith all prayers and rituals. Wonderfully written as usual. Emotionally stirring, informative and compelling. You are doing a great service to khshnoom and for our future generations. Please keep up your hard work.